Am I the only one that sometimes feels like computer ownership is somewhat equal to homeownership? It seems there are always updates, upgrades, and tweaking that needs to be done. This doesn’t even begin to explain the security system which, like home security, protects all of my most important belongings. All those things can be time consuming, and sometimes costly. BUT…. What if…. You were instead awarded them for free? If this sounds exciting to you, you’re in luck. That’s exactly what is happening on July 29th (TODAY! ), when Microsoft launches Windows 10 as a FREE UPGRADE for the first time! You don’t even have to do anything special, sign up for any special list, or wait in any long line. Simply keep an eye out for the upgrade notification and you can update it easily. 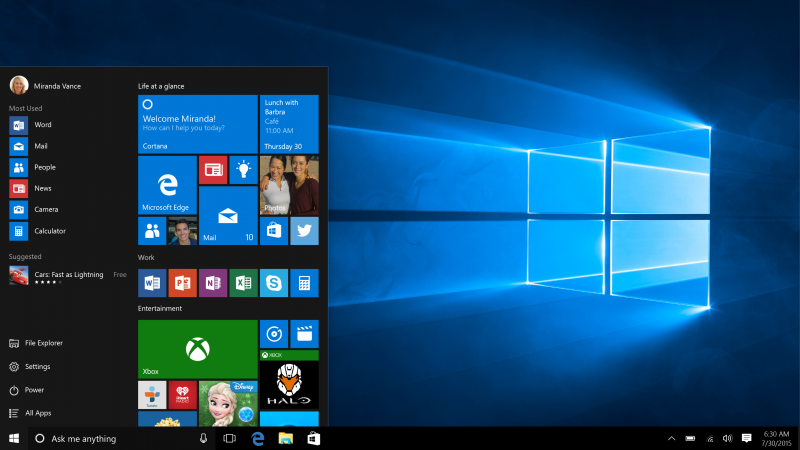 What’s so cool about Windows 10? 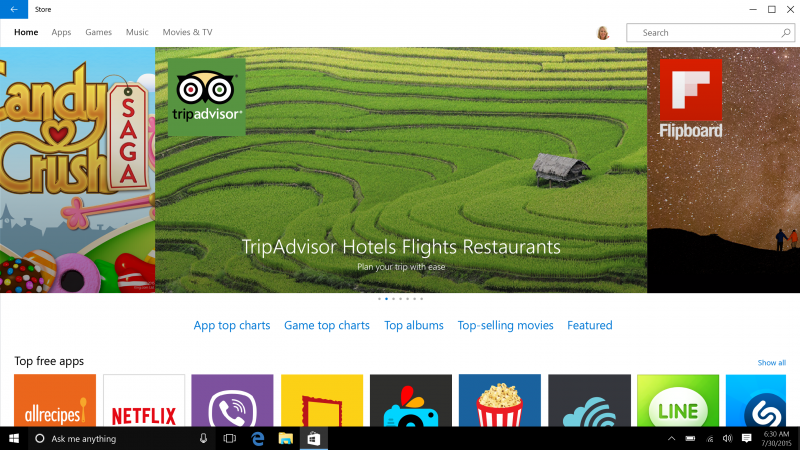 Well, for starters… the start menu is back! I personally missed having this feature, and apparently I wasn’t the only one. It is now integrated with the live tile touch experience, so you get the best of both worlds! There’s also a brand new browser! 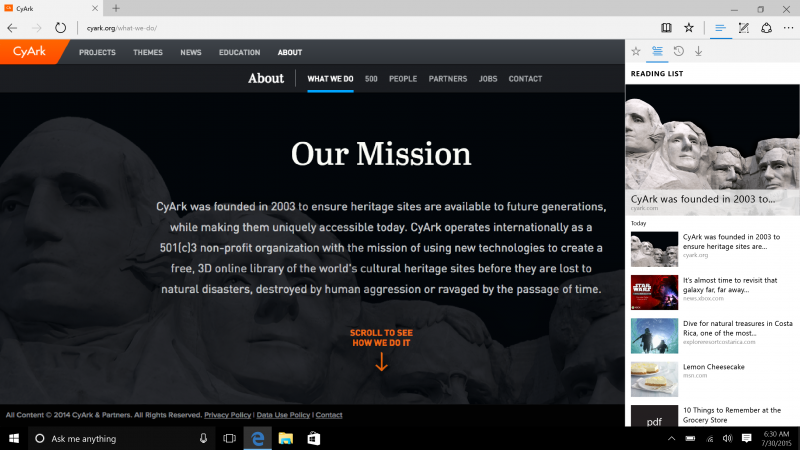 Microsoft Edge allows you to write on the web with build-in note taking, sharing, and integration with Cortana. There’s even a reading pane option to allow you to read without sidebar distractions. What’s Cortana? Only your very own personal digital assistant, that’s available on your smartphone…. And now on your PC too! You can ask Cortana to find files, send emails, pull up photos, find apps, turn your music on, and much more! And it’s all included in Windows 10! Love to play games on your Windows computer? You’ll love playing them even more with Windows 10! It integrates with your Xbox one to link all of your friends, games, achievements and more! It also has Xbox live build in so you’ll always have instant access to your gaming community. Want to game on the go? You’re in luck! Game streaming allows you to play on your tablet, laptop, desktop at home! 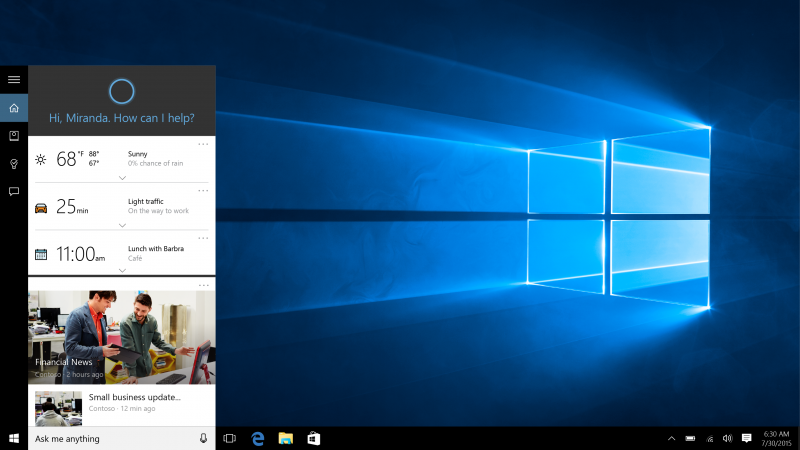 Which Windows 10 feature are you most excited about! Disclosure : This post is part of an ambassadorship with Microsoft. As always, all thoughts are 100% my own. The Alternative to a Kitchen Radio – Soundfreaq Sound Spot Speakers!